A hands-on guide to one of the world's most versatile herbs Edited by Sheila Speber Haas, PhD with a forward by Mitchell Fleisher, MD. A highly informative and easily readable 40 page booklet. answers them all...and more. Easy to understand & very informative, it's certainly worth having for future reference. Many thanks. 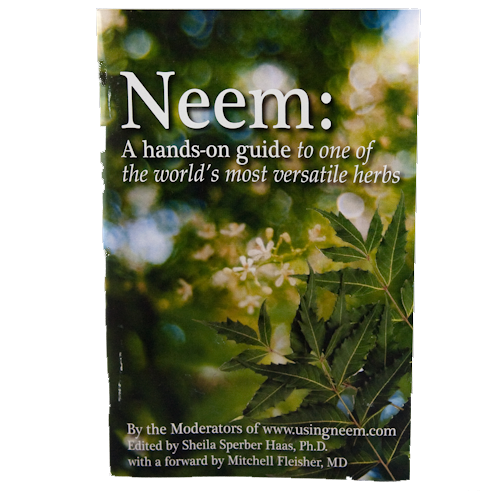 I enjoyed learning more about the amazing healing properties of Neem and how many benefits this wonderful tree has for us humans. I have been using Neem products for a while now, not only for me and my husband, but for our dogs too and I can not praise it enough. This hands on guide should really be read by everyone.